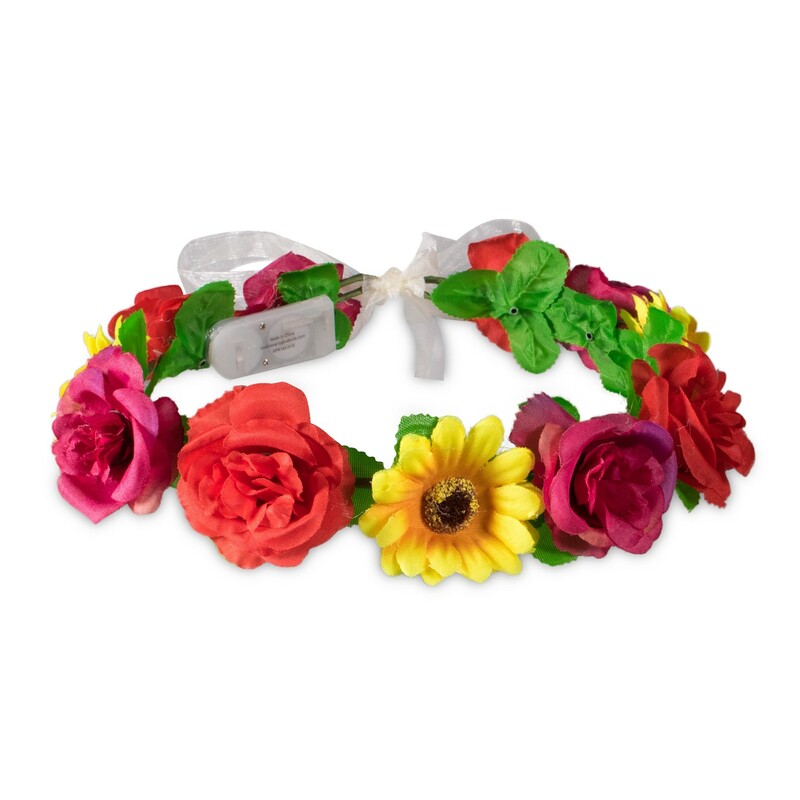 Complete your flower child and hippie look with our LED Assorted Flowers Halo Headband. The yellow, red and purple faux flowers are perfect for your music festivals, school events, luaus, beach parties. 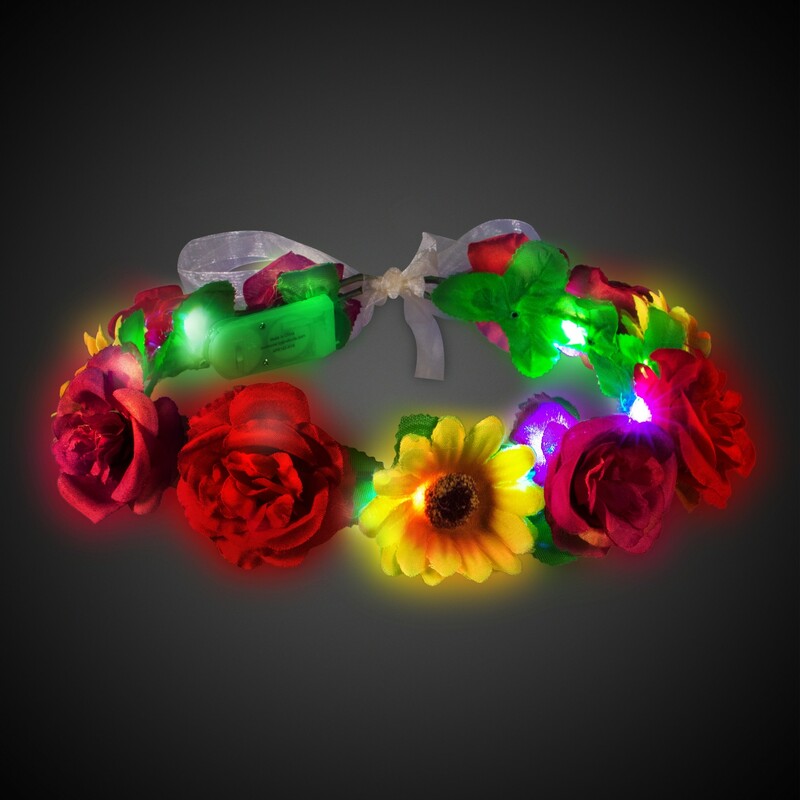 Our cheery sunflower & roses-adorned light-up halo style headband is a 19" long flower crown and features 9 multi-color LED's with one bright flashing LED mode. 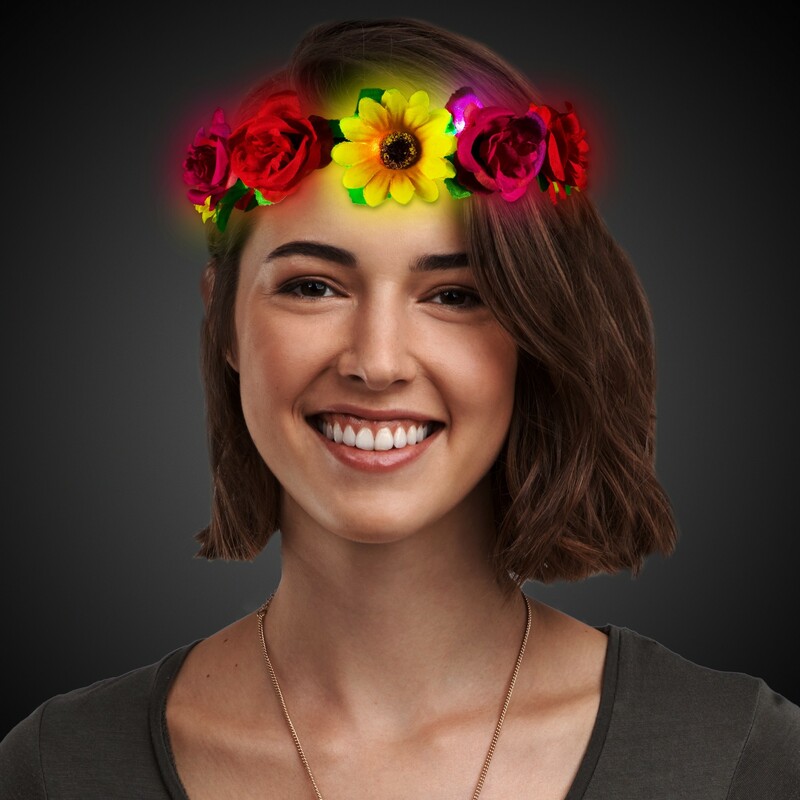 Our LED Sunflower Halo Headband features an internal wire so you can easily fit to your head and ties in the back. 2 replaceable CR2032 batteries are included and installed. Perfect for Woodstock hippie costumes, tropical parties, Halloween, and more! Makes a perfect fall centerpiece table decoration for your Thanksgiving table or Autumn Feast.